Oklahoma saw a big jump in after-school supper participation — 121 percent, to be exact — from October 2016 to October 2017, the biggest increase of any state. 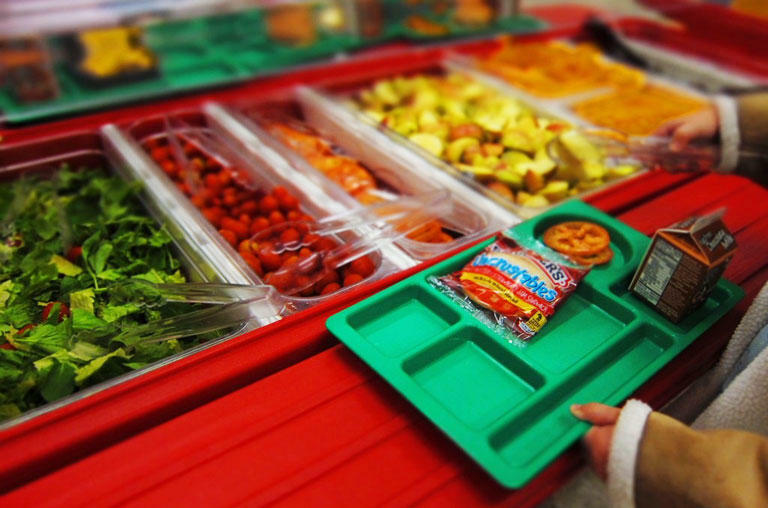 According to the Food Research & Action Center, almost 15,000 Oklahoma kids got after-school meals each day. Hunger Free Oklahoma Executive Director Chris Bernard said that’s good not only for low-income kids who may get most or all of their meals at school, but also for their families. "Maybe they don’t have to make the decision at the end of the month about whether they’re going to put food on the table or pay the light bill or respond to some crisis like a flat tire. All of a sudden, their budget is just big enough to make it to the next month," Bernard said. Those figures mean about 4.5 percent of kids getting free or reduced-price lunches were also eating supper. "The sort of gold standard or what, nationally, experts have set as a goal for states is 15 percent of kids who access free and reduced lunch accessing after-school meals. So, we still have a ways to go before we hit that mark," Bernard said. The supper program is relatively new, so families may not know it’s an option and after-school program providers may not be aware they can get federal funding to feed kids. Any after-school program can offer a meal and get federal reimbursements for it, freeing up funds to make the programs themselves more engaging for kids. "The meal is really important, but pairing it with programming, you’re building protective factors and reducing risk factors for these kids to produce better outcomes in the long run," Bernard said. The Food Research & Action Center report said serving 35,000 more kids would net Oklahoma an additional $2 million in federal funding.